Where would I feel Low Back Pain? 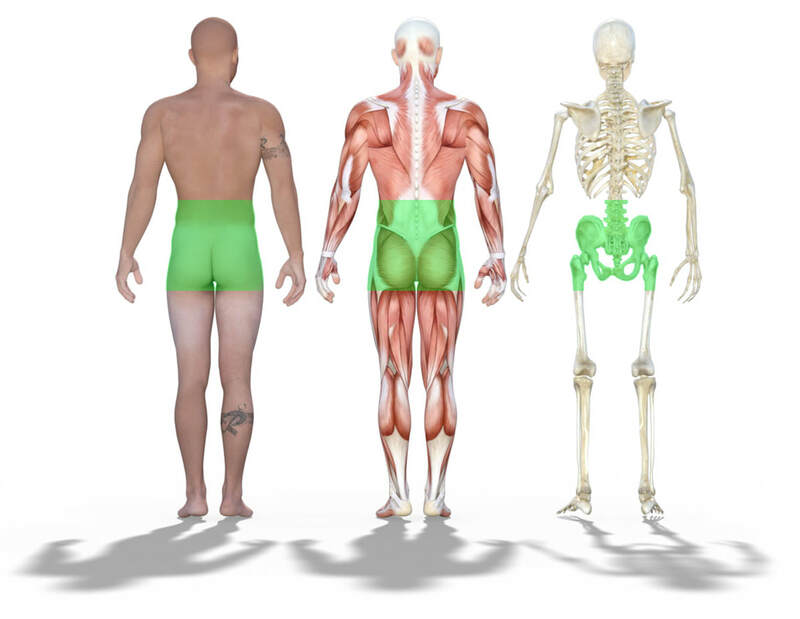 The lower back is commonly defined as the area between the bottom of the rib cage and the buttock creases. Is it unusual to have low back pain? Quite simply no. In fact, most of you will experience spinal pain at some point during your life time. Research estimates that up to 90% of you will get low back pain (LBP), and 70% will get neck pain. To put that into context, the last census recorded in 2011 showed a UK population of just under 63 million. This means that around 56 million of you will get back pain and around 44 million will get ﻿﻿neck pain. That’s a lot of people! For a vast majority of you, yes, in fact most ‘simple’ LBP and neck pain (not related to a whiplash injury) is thought to be self-limiting, settling within 4-12 weeks under its own steam. Unfortunately, this does leave somewhere between 3-10% of you, or up to 6.3 million who will go on to develop chronic low back pain, (same pain lasting for more than 3 months consecutively). Although this group is proportionally small, it accounts for nearly 50% of all resources allocated to the treatment of LBP. The bottom line is, it is impossible to stop everyone from developing chronic LBP even in today’s age of medicine, and we need to accept this fact. What we can do however is strive to limit this occurrence where possible, and help those of you where it is not preventable. ​maintenance or similar thereafter- despite what you may be told! An important part of this approach is the adoption of the ‘bio psychosocial‘ model. This is supported and encouraged by most of the health organisations in the developed world and recognises the importance of addressing any psychological and environmental aspects of your presentation as well as the physical. This DOES NOT mean that we think it is in your head, but simply that most of us will adapt behaviours and thoughts towards everyday practices in response to our pain. This may range from something as simple as not sitting for too long in the evening to making a lengthy plan on how you will be able to get dressed in the morning. In recognition of this, nearly all spinal pain should aim to be treated with a rounded approach and should involve you, the patient, in the leading role. Whether it is simple self management, professional rehabilitation or even surgery, you will need to be prepared to adopt a temporary or permanent change in your lifestyle to reach your full potential. Assessing and treating low back pain in across Northamptonshire and South Leicestershire is a challenge that we have significant experience in at Team Rehab uk Ltd. There are very few clinics in either area area that have had the same exposure to spinal research, surgical rehabilitation and preventive care as our very own Chris Heywood. When you then add to this our team of specialist physiotherapists Miss Anna Elliott and Mrs Minal Gadhia, you can be confident of getting the best treatment for YOUR needs.